This project located in buzurgan terminal in missan oil field, which is about 65km away from amarah city in southwest of Iraq. • Temporary road include backfiling, leveling and sub base. • Site clearance includes Excavate the surface asphalt layer, reach to the sub grade layer, compaction with 95%. • Surface preparation milling the deteriorated asphalt 30mm thick. • Soil backfilling Compaction degree≥95 %( Modified Proctor density as Determined by ASTM D698). • Shoulder backfilling include Sub base compacted well without test. 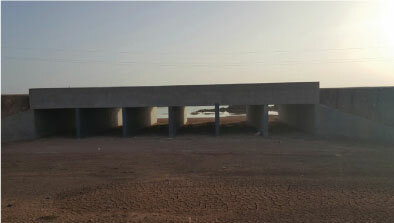 • Concrete works include box culvert, slope protection, irsh crossing and retaining wall. • Sub base include mobilization materials and backfilling with leveling and test ≥ 96%. • Asphalt stabilizer with prime coat supply, transport, lay and compaction. 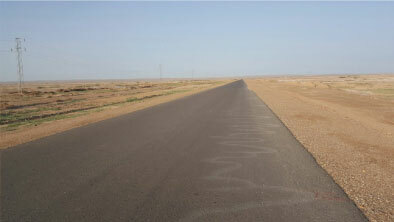 • The Old Road Surface supply, transport, lay and compaction 50mm wearing course of hot mix asphaltic concrete. Project Location : Buzurgan, Missan.